.... including the UK's largest selection of Smilers® sheets! Royal Mail will be issuing Olympic and Paralympic Games - Personalised Gold Medal Winner Stamps to commemorate Team GB Gold Medallists achievements. The Olympic Games stamps were issued within 24 hours of the event taking place in the form of self adhesive miniature sheets comprising six stamps and event/Athlete details, see image. The stamp sheet template is common to all stamps and the personalised picture of the gold medal winner and athlete/event details were printed digitally on A4 sized sheets comprising 4 miniature sheets. The sheets have additional data included in the sheet margin which will identify the region in which the digital overprint was printed. There are six different regional printers to collect: Preston, Edinburgh, Solihull, Attleborough, Swindon and London. The Paralympic Games stamps are to be issued within 5 days of the event taking place in the form of self adhesive miniature sheets comprising two stamps and event/Athlete details, image not yet available. The stamp sheet template is common to all stamps and the personalised picture of the gold medal winner and athlete/event details will be printed digitally on A4 sized sheets comprising 8 miniature sheets, featuring four different Gold Medallists on one sheet. The sheets have additional data included in the sheet margin which will identify the region in which the digital overprint was printed. 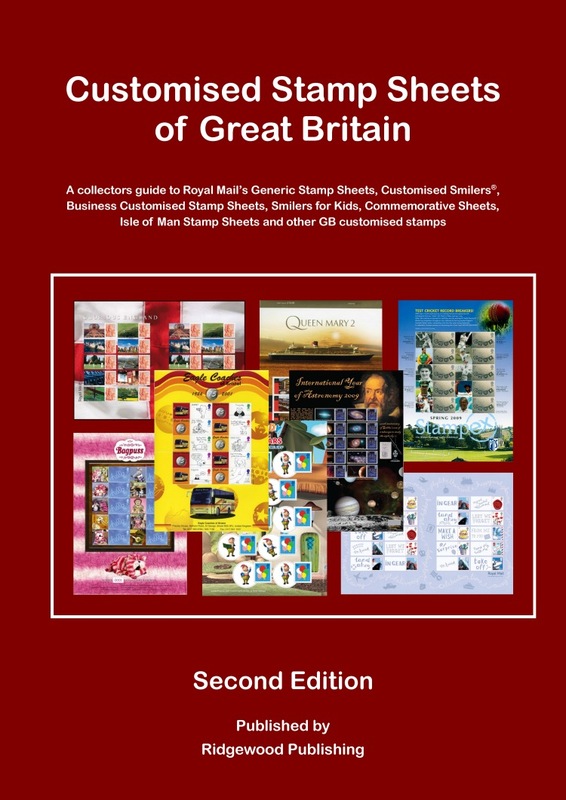 There are six different regional printers to collect: Preston, Edinburgh, Solihull, Attleborough, Swindon and London. 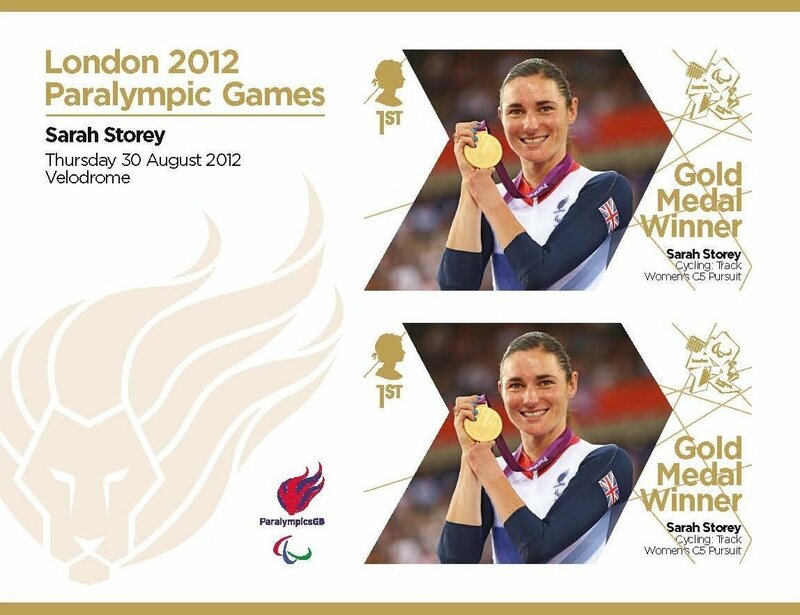 Click on PARALYMPICS to view all stamps and A4 Sheets as they are announced.